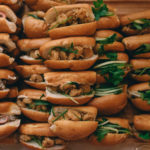 We are a high touch culinary curation company based in and inspired by the innovative, hospitable soul of New Orleans. 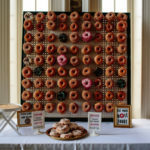 We saw a private events industry dominated by unoriginal menus and unrecognized chefs and knew we had to change it. 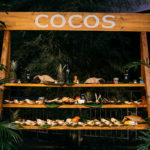 By collaborating with a diverse team of independent chefs and restaurant groups, we create and execute customized food experiences to take your event to the next level. 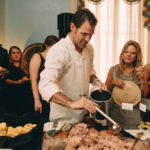 My House Social was started in 2012 with the idea of showcasing the talents of independent chefs from across New Orleans. 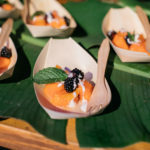 Founder and CEO Barrie Schwartz, first hosted a series of pop-ups in her home, giving entrepreneurial chefs a platform to share the experimental fare they were unable to cook in their respective restaurants. After an inspiring trip to Portland during the food truck boom, Barrie scaled these events to include food truck festivals in addition to her pop-ups, catching the eyes of corporate tech giant, Microsoft. In 2013, Microsoft, in tandem with Audubon Nature Institute Catering, requested that My House Social coordinate food trucks for over 8,000 guests for an annual conference, giving My House Social their first taste at corporate event services. 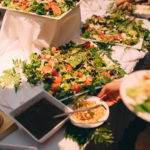 During this event process, Barrie noticed the lack of diversity in catering where gigs were going to major catering companies turning out familiar, uninspired menus. 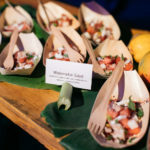 She knew her network of independent chefs could bring a variety of refreshing, unique cuisine to the industry, and shake things up in the private events world. Today, My House Social has grown to become a leading pioneer in bringing innovative and inspired catering to the private events industry, creating elevated, playful, and customizable culinary experiences for public and private events nationwide. With My House Social’s ever-changing teams of curated chefs, no experience is ever quite the same, but every experience is memorably delicious.